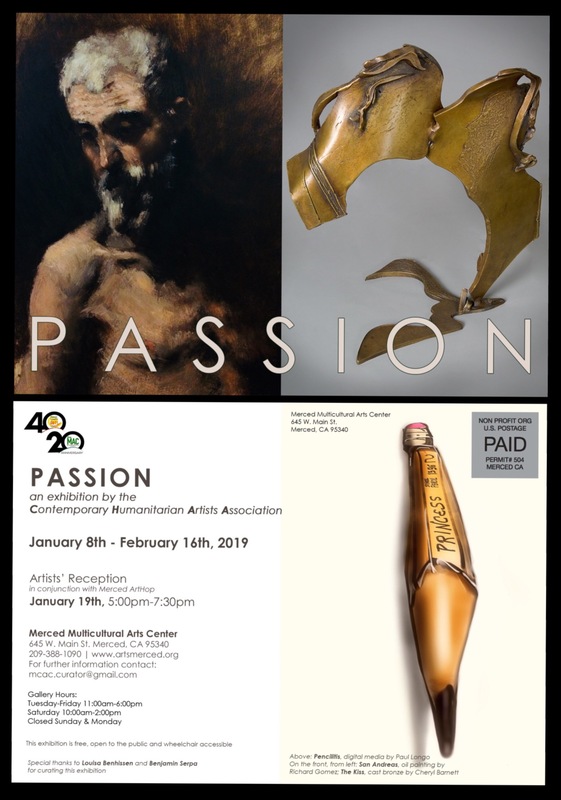 I belong to the Contemporary Humanitarian Artists Association (CHAA), and we’ll be exhibiting Passion at the Merced Multicultural Arts Center from Jan. 8 to Feb. 16, 2019, so to speak. The Princess No. 2 School Pencil by Eberhard Faber has enchanted me for several decades; and I’ve tried to express this enchantment over time in traditional and digital ways. I love the shape, colors, and feel of this simple and elegant artifact, which has been instrumental in the expression of so many ideas, simple and complex. I’m moved by the unmistakable ways in which pencils sacrifice themselves physically in fulfillment of their instrumental, expressive mission; their erasers are often the first to go! Pencilitis and Milonga No. 2, both rendered freehand on an iPad, highlight in different ways the ordinary and extraordinary nature of this useful artifact. 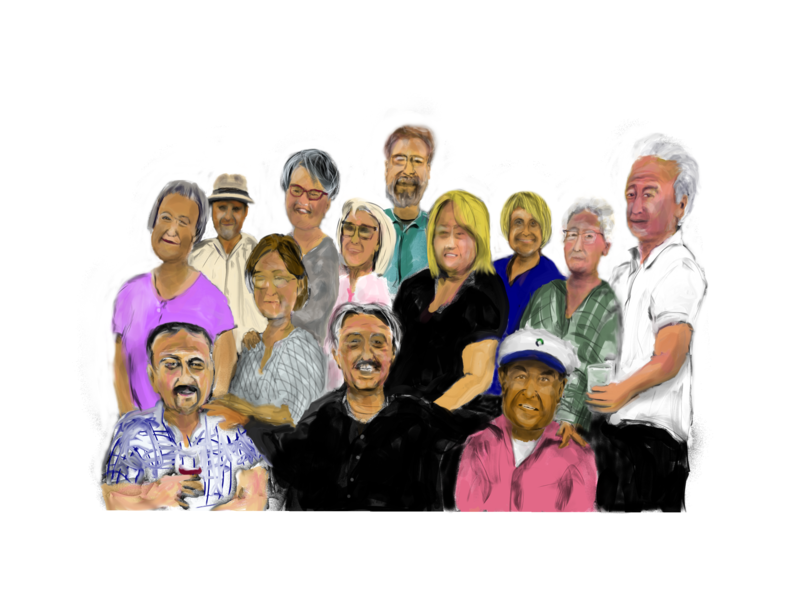 Visit the show, and join us on January 19, 2019 5-7:30 pm at the Artists’ Reception (also ArtHop Merced night)! See short video on my “Pencil Passion” by clicking here. 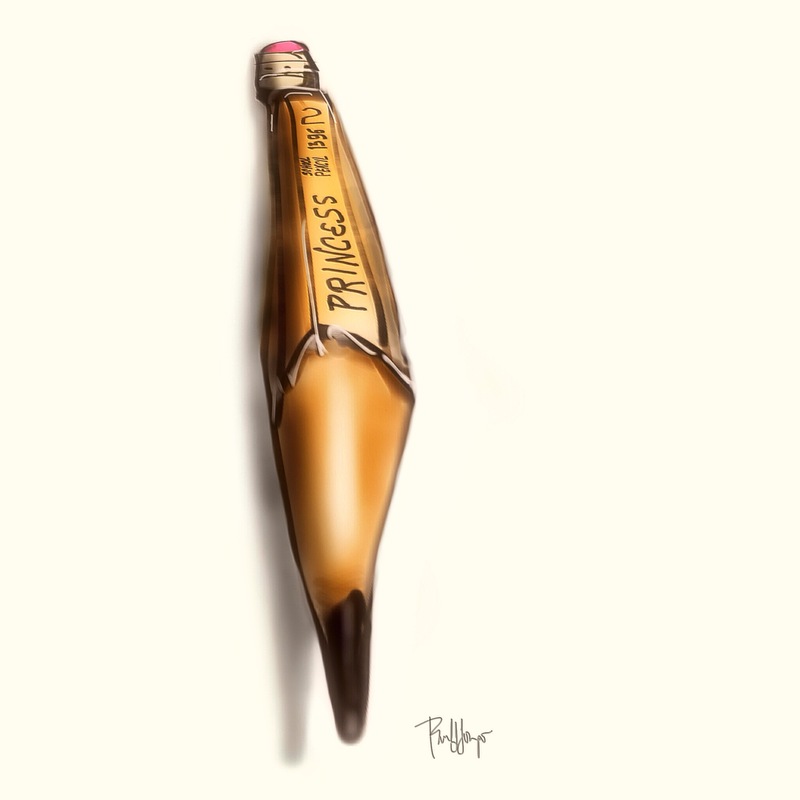 See other pencils on this illustroblog by clicking here or browsing round; they’re all over the place! 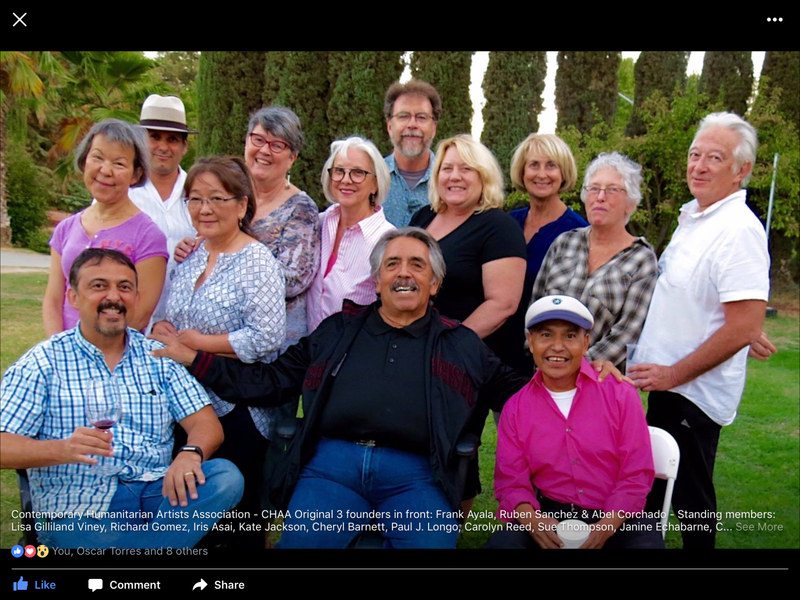 CHAA stands for the Contemporary Humanitarian Artists Association. 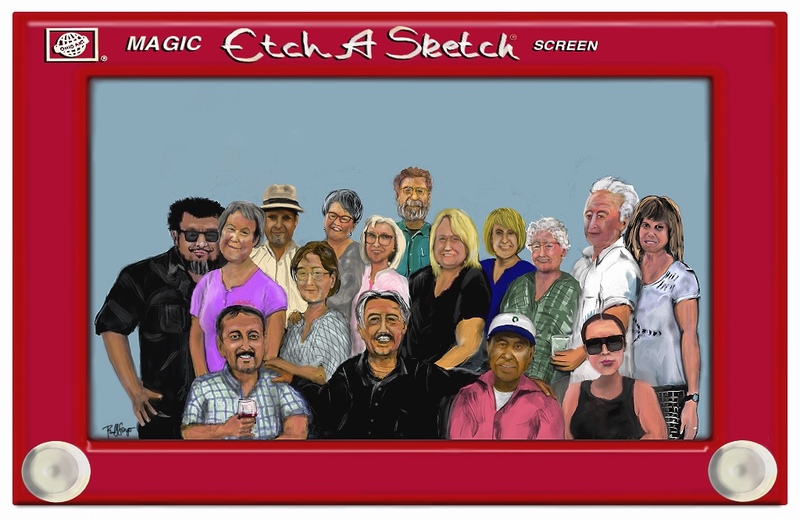 It was formed in 1985 “in an effort to build creativity and community for artists living and working in the region around Merced, CA. While the members have changed over the years, the goals of the collective remain constant. We come together with a shared philosophy – that creativity, contemplation, and exploration are key to the human spirit.” I’ve only been associated with these fine people for the past 6 months, but I can already feel the philosophy in my bones. Visit CHAA’s FB page to keep up with the forthcoming shows. 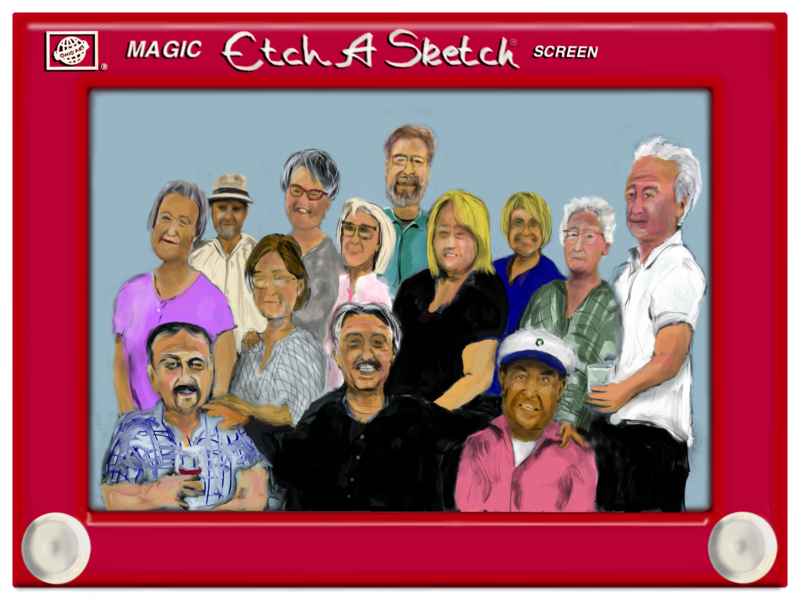 Sketch Club provides a variety of backgrounds and frames, and I thought it would be fun to use the Etchasketch frame, since it’s digital art and all that; plus, there may even be a few people still alive who remember what an Etchasketch is. This kept me out of trouble for a while, and as you can imagine, the effort allowed me to ponder and appreciate each and every person and the group as a whole. Technically speaking, as I mentioned, I mainly used Sketch Club on my iPad Pro with an Apple Pencil on this free-hand drawing. I did some occasional tweaking in iColorama and a desktop application called ON1 Photo. 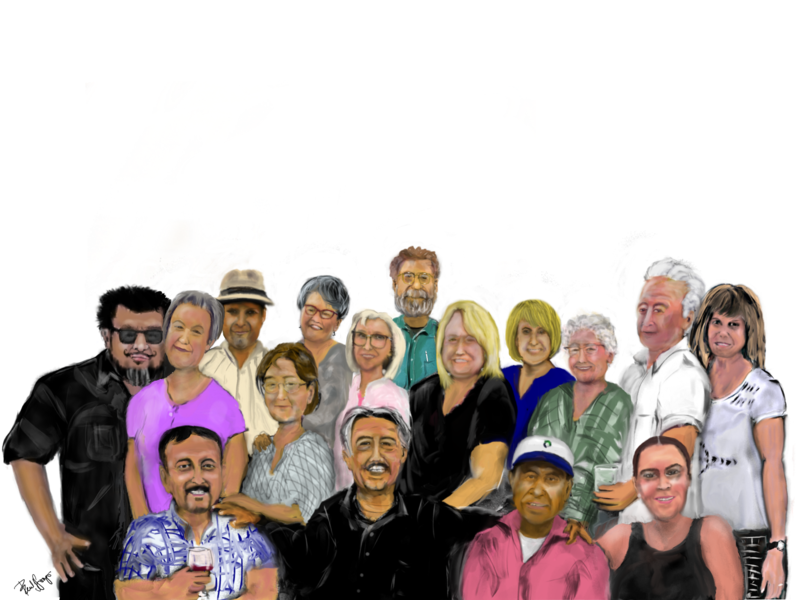 Sketch Club, by the way, is a lot of fun, and it was a pleasure learning about and working in it rather than Procreate, my “go to” iPad drawing app. 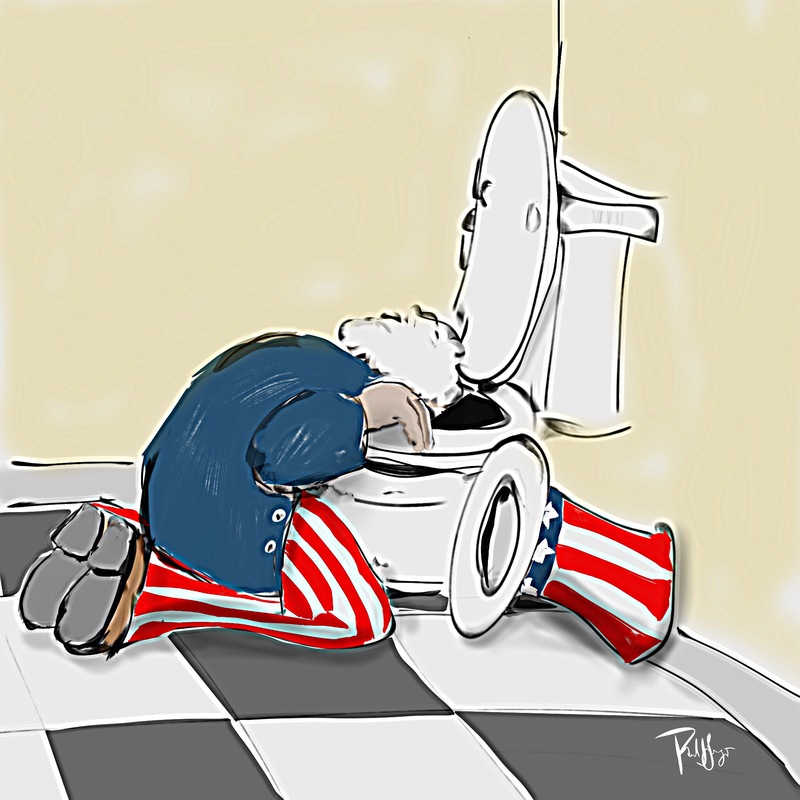 As usual, let me know what you think.